“To what extent they’re looking at the military right now, nobody knows, that’s just a statement,” said Yuma County Sheriff Leon Wilmot, who said he does not think his county needs a military presence but others might. Trump announced his militarized border plan during a wide-ranging commentary that touched on everything from trade with China to immigration to Amazon, at what was ostensibly a meeting with presidents of the Baltic states. Trump did not release details of the proposal, but said at a meeting later in the day that he would meet with Defense Secretary James Mattis to come up with a plan on how to deploy the military to the border. “We are preparing for the military to secure our border, between Mexico and the United States, we have a meeting on it in a little while with Gen. Mattis and everybody,” Trump said. Mexican Ambassador Geronimo Gutierrez said his country supports border security, but in a way that protects its own national interest. Despite Gutierrez’s hesitance, Trump said he would work with Mexico to secure the border – but threatened to cancel the North American Free Trade Agreement if the Mexicans do not comply. “We will be doing things with Mexico, and they have to do it, otherwise I’m not going to do the NAFTA deal,” Trump said. The proposal to deploy the military to the border follows several days during which the president sent a flurry of tweets declaring that “DACA is dead” and blaming Mexico for allowing “large caravans” of Central American immigrants to head to the U.S. as well as letting “big drug and people flows” into the country. Tuesday’s announcement was welcomed by Rep. Paul Gosar, R-Prescott. But Rep. Ruben Gallego, D-Phoenix, said the president’s plan wants to “send a divisive political message” with his military plan. “Now he intends to employ our Armed Forces to advance his extreme anti-immigrant agenda, while wasting time, resources and money and depleting our military strength in areas of real danger,” Gallego said. Rep. Raul Grijalva, D-Tucson, condemned what he called a “draconian” policy. But Trump would not be the first president to send troops to the border. 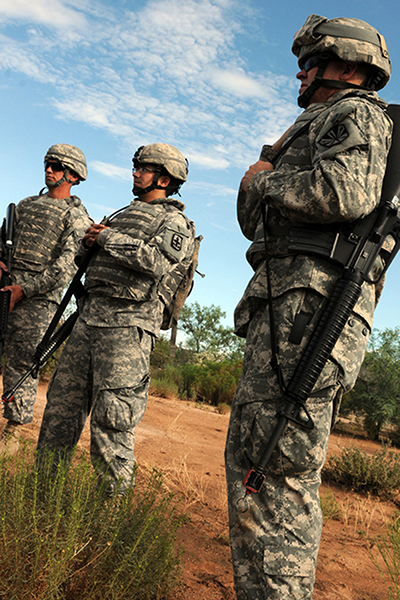 Wilmot and Pima County Sheriff Mark Napier noted that President George W. Bush sent 6,000 National Guard members in 2006 and President Barack Obama sent 1,200 troops in 2010 to help the Border Patrol while it recruited more officers and built up security infrastructure along the border. 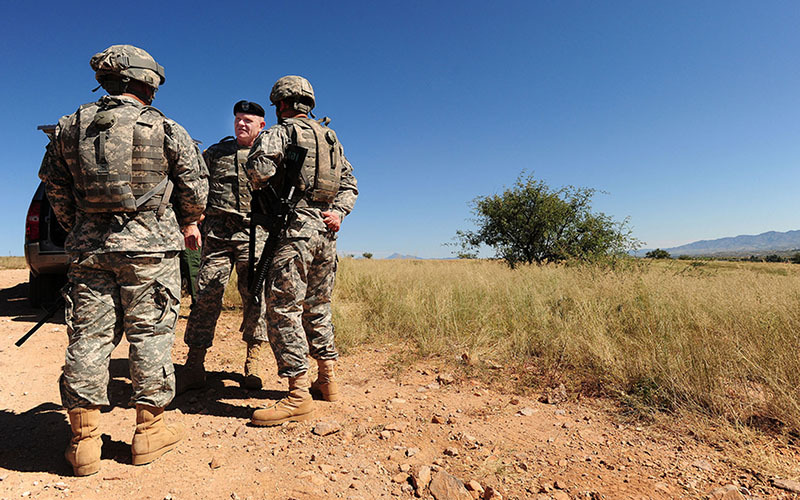 “While they were able to put into place the infrastructure that was needed to deter the criminal element, the use of the National Guard was a help to the U.S. Border Patrol,” Wilmot said. But he is does not think that’s the case anymore. “We don’t need it here in Yuma County, because of what we’ve been able to put in place,” Wilmot said. Santa Cruz County Sheriff Tony Estrada said he is concerned Trump’s move would be seen as an “act of war,” and that those resources would be better spent hiring more Border Patrol officers. Napier said the nation’s military is already “spread very thin” and the “significant associated costs” with a deployment to the border are two reasons the plan may not be realistic right now. Wilmot hopes that at some point the planning process, the administration will reach out to local governments for input on their exact needs. “The key thing is that the administration makes sure that whatever is done on the border, that they’re engaged with local law enforcement and their federal partners that are living, working along that area,” he said.